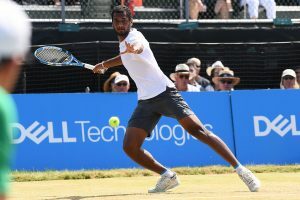 I recently had the pleasure of catching up with ASC player, Ramkumar Ramanathan, following his first ATP final at the 2018 Dell Technologies Hall of Fame Open. We discussed everything from the outcome of the match to how he prepared for this final. 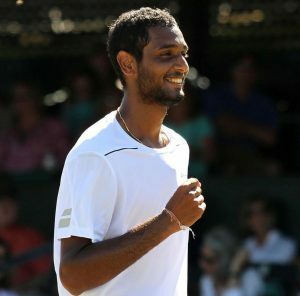 What tips can you give to tennis players hoping to reach an ATP final? I would encourage players to listen to their coaches and give the best version of themselves whenever they step on court, even if it is only for 30 minutes. Also remember to stay professional during tournaments. Professional meaning, have everything prepared for matches, including racquets, grip changes, drinks, energy bars, book warm up courts, get enough sleep, and watch opponent matches. Things can quickly change in matches, so it is important to fight for every point and compete until the end! Know your strengths and work on your weaknesses. But above all, believe in yourself and go into a match with the belief that you can do it! Even if you have a few bad games in the beginning, hang in there, you can change the match. How did the 4 pillars of tennis help you prepare for the Hall of Fame Open final? The Four Pillars of Tennis: Mental, Physical, Technical and Tactical were the base of my preparation. I knew I had to go into this match mentally prepared and be ready for anything. I usually try to take a short nap or listen to my favorite songs before matches to help me relax, and this match was no different. Doing this is important because it helps me keep my mental strength in check throughout the match. During changeovers, I looked ahead and brainstormed what I would do for the next games, I also focused on my breathing between points throughout the entire match. Physical is also key. I had to make sure I was physically prepared for a long match. I went into the final giving everything I had. I fought for every point no matter the outcome. I also focused on my strengths and tried by best to keep going after long points. 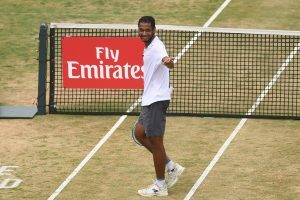 For technical, I focused on hitting my shots to the best of my ability and reminded myself to reach up for serves and go for my returns. I had my routines ready before the match and tried to keep the order. Tactical is very important, before going into any game, I like to watch my opponent so that I have a better understanding of what I will do during the match. I also try to have a Plan A and Plan B. Plan A is to stay aggressive and dominate the court. If I see that is not working, then I turn to Plan B, where I step back on returns and continue to fight. I have been working on dominating more and moving closer to the net when serving, if I struggle to play comfortably from the inside of the court, then I go from behind the baseline. How has reaching an ATP final changed the trajectory of your career? Reaching an ATP Final was a dream come true! I am proud of myself for making it into the Final of this prestigious event. Nothing can buy this moment, it will stay with me forever. 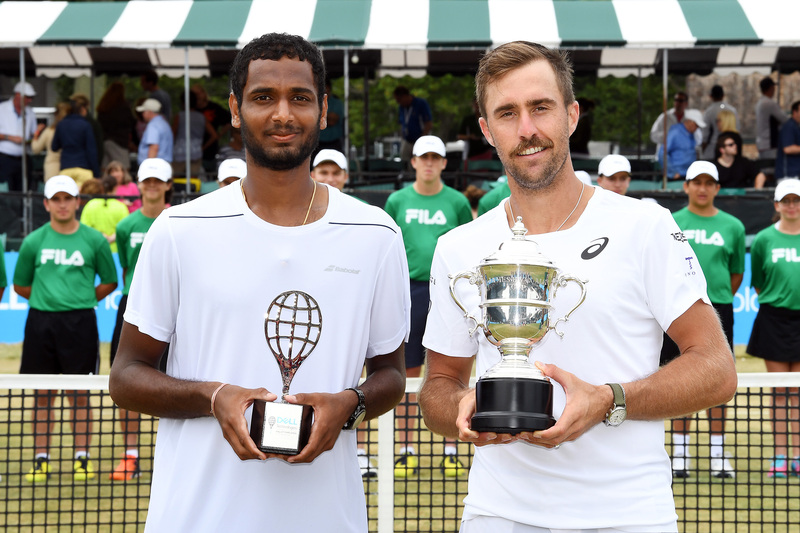 I am excited to be competing in these high-level ATP events because I am learning new things and gaining more respect from players. Coming from a family who has not played many sports (except for my dad who played a bit of badminton in his college days), this is a huge achievement for me and my family. All of this goes to show that all the hard work you put in always pays off. It is a dream to be playing in the top league. This is still the beginning of my career, and there is a long road ahead, but achieving this goal has only motivated me to push that much harder toward my future goals of reaching the top. In what ways did the Sanchez-Casal Academy help you reach the final? The trophy I hold in my hand today, is because of Emilio and all the coaches at Sanchez. Having Emilio and the team by my side was a huge advantage, they have gone through every phase with me. I am grateful for their support, valuable input and for the time invested in me. By God’s grace, I am currently at a career high singles ranking of 111! 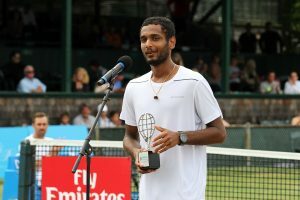 My first few years at Sanchez were really tough as I was always losing in Futures Qualifiers, so I consider this the beginning of a new chapter in my life, and I hope to continue climbing higher! I would like to thank God for blessing me with good health and everyone at Sanchez-Casal for pushing me toward reaching my goals. Dreams do come true, I came to Sanchez without ranking and now I am on my way to achieving everything I imagined. Tennis has made me grow not only as a player, but also as a person, it has taught me many life lessons I don’t think I would have learned had I not played this sport. Do you have any advice for aspiring tennis players? I would tell current and future players to reach for the stars and believe you are capable of everything you set your mind to. The secret to success is hard work, dedication and patience. Every small detail adds up, so keep pushing your limits and enjoy every moment. We can’t wait to see what is next for this talented player. Everyone at Sanchez-Casal wishes him the best and we hope to see him move closer toward reaching his goals. 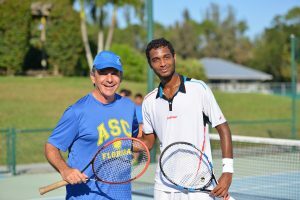 This entry was posted in Tennis and tagged ATP World Tour, Dell Technologies Hall of Fame Open, Emilio Sanchez, India, Indian tennis player, Ramkumar Ramanathan, Sanchez-Casal, Sánchez-Casal Alumni, Spanish Tennis, Tennis, Tennis players. Bookmark the permalink.